No Scottish themed Ball would be complete without amazing music and dancing, and so we are so happy to announce that entertainment for this years Princess Ball will be provided by the talented dancers of the Breck School of Highland Dance! During lunch, our guests will enjoy dances performed by the current Canadian champions before getting the opportunity to join in the fun! All yer bairns will get a chance to try a fling or two, so get your dancing shoes ready. 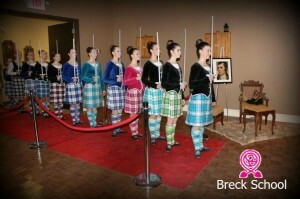 The Breck School provides quality highland dance instruction and promotes the development of strong young women from wee dancers to the making of champion dancers. The Breck School choreography team has performed in Canada and Scotland, and has won 1st place at the Canadian Championships twice, in 2013 and in 2015. Our goal is always to work hard, dance well, and have fun! 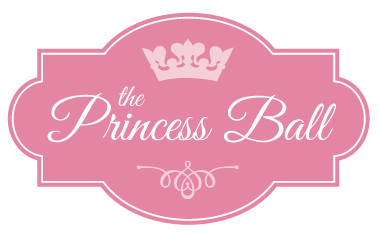 SongBird Marketing Communications is excited to work with The Princess Ball to bring a little magic into the world. We are firm believers in letting your inner child out so you never fully grow up when it comes to your dreams. Life is more wonderful, and you can accomplish so much more when you can dream, and there is no better way to learn than to foster dreams in children. SongBird is a boutique marketing and communications firm specializing in strategic solutions for organizations and individuals looking to take their brand to the next level. We’re experts in public relations, media relations, branding, business development, and adapting strategies for small business. We work with businesses, organizations, and individual experts who are at all levels of development. Whether we’re building from the ground up with an exciting start-up or coming up with a new perspective for an established company, we like to bring a little creative flare to our strategic thinking. Working with our clients, we develop fully integrated strategies focusing on both traditional and non-traditional tactics, ensuring that each unique message gets to the intended target audience. We are storytellers, artists, and strategic minds. But most of all, we love creating magic for our clients to make their brands sing! Welcome to The Princess Ball, SongBird Marketing! Welcome back third time Gold Sponsor, Home Trust! Home Trust is honoured to be a third time Gold Level Sponsor of the Princess Ball! Announcing our venue and theme for 2016! We are thrilled to announce that the Third Annual Princess Ball will be held on Sunday April 17th 2016 from noon to 4pm, at the Old Mill, Toronto. We are all very used to thinking of Princesses as exclusively girly and preoccupied only with finding their Prince. But we also know that there are many other qualities that we can and should celebrate. How about kindness? Strength? Courage? Cleverness? What about being brave? We are all very excited that the theme of the Third Annual Princess Ball is BRAVERY. The Old Mill will be transformed into a medieval Scottish castle, complete with highland dancing, archery lessons, and a host of other amazing surprises. After being assigned a clan and a tartan, your family will be heralded into our ballroom where our host Princess will greet her guests. 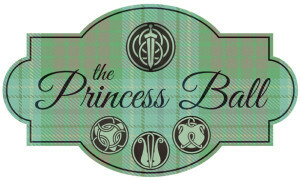 Feast to the music of the highlands and get ready to swing your kilts on the dancefloor: you won’t want to miss a second of this empowering celebration of what it means to be a strong, Brave Princess.